Ice cream lovers flock to this cow-themed parlor for seasonal flavors of cones, smoothies, frappes and sundaes. 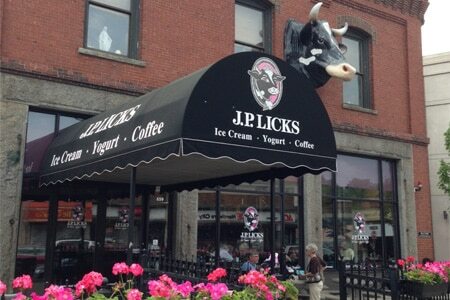 : This cow-themed ice cream parlor scoops up fun seasonal flavors. The chain has locations scattered all around town, attracting camp-loving scenesters as well as kids with its wide array of premium ice cream and frozen yogurt. In the summer, you can try unique flavors such as cucumber, El Diablo (with cinnamon, chocolate and cayenne pepper) and wasabi; in cooler months, Wild Turkey and eggnog prevail. Special occasions might call for the signature sundae party kits to-go for up to 15 people, which come with ice cream, hot fudge and all the desired toppings.